Easter is right around the corner and I can’t wait! It’s one of my absolute holidays! I love being able to celebrate the resurrection of Jesus with my family! We always go to our church’s Easter egg hunt, visit the Easter bunny, and spend the day with family! 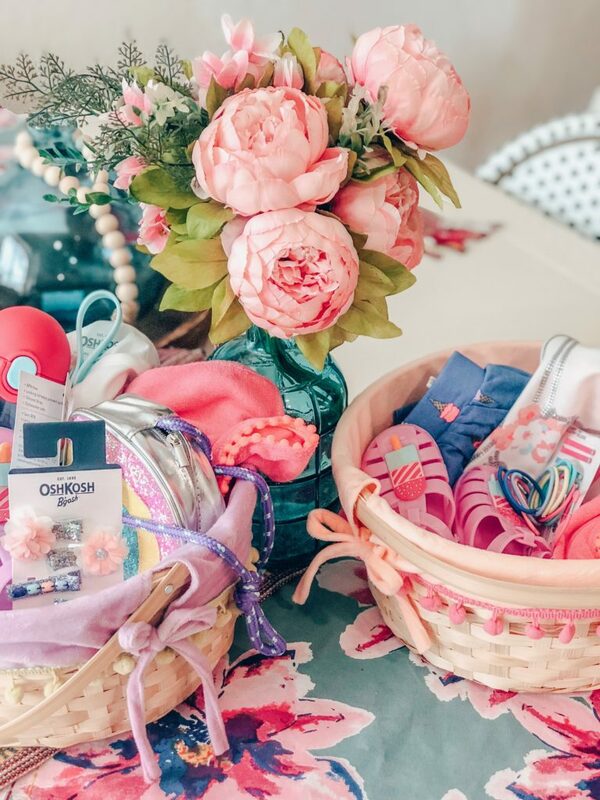 I love looking forward to assembling their Easter baskets! I wish I had a picture to show you what mine looked like as a kid. My mom went way overboard and handmade my enormous basket every year. I still can picture what it looked like. 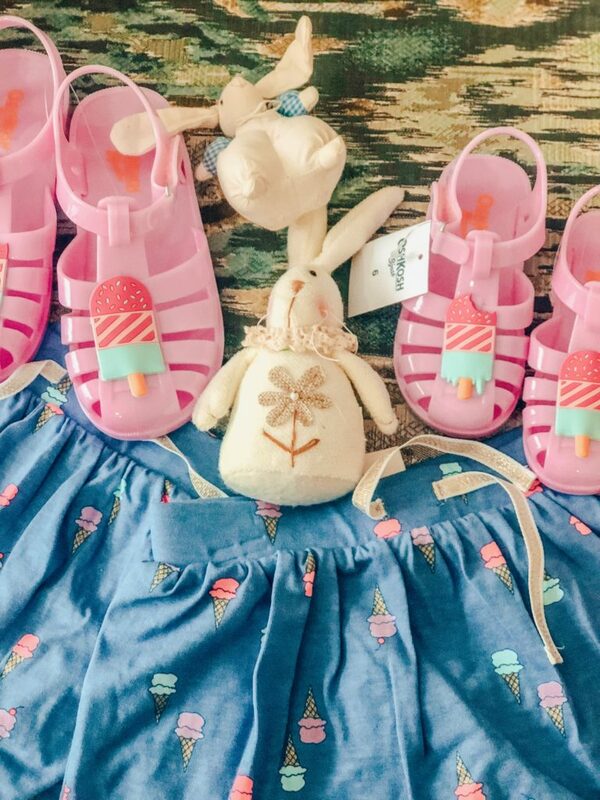 I love finding items and goodies for my kids of course… who doesn’t love shopping? One thing they always get every year is candy in their baskets. 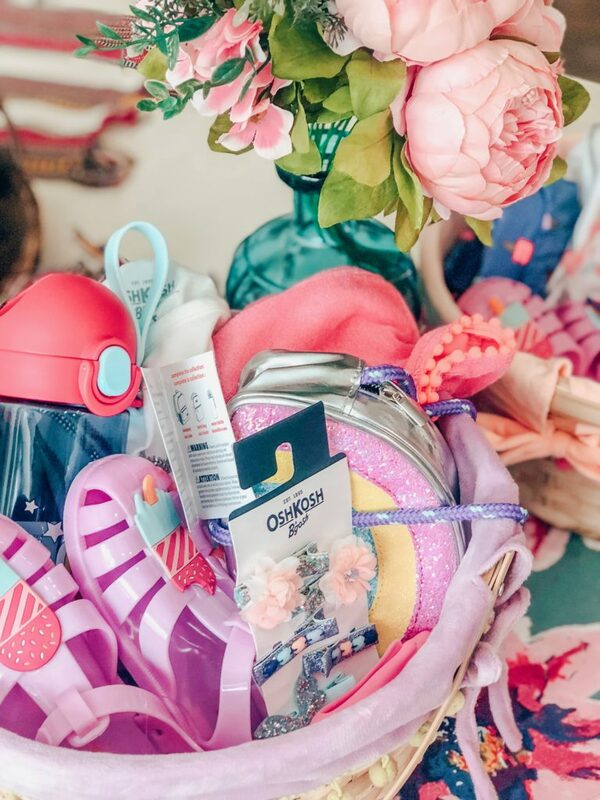 This year I wanted to create a basket without candy! 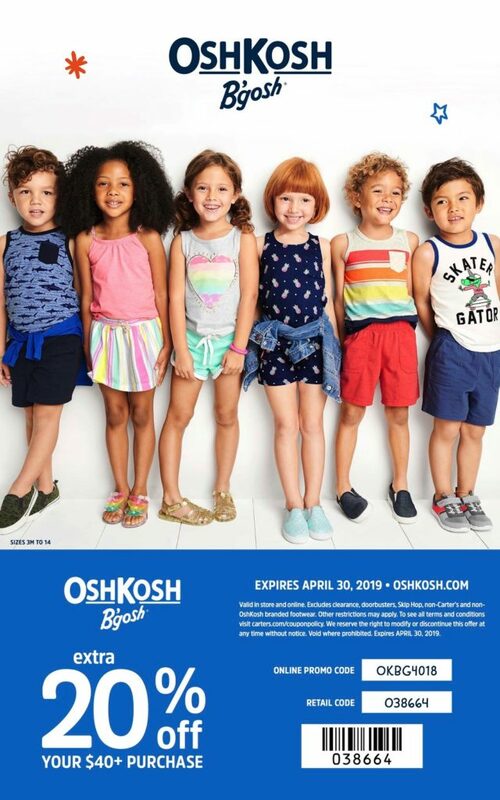 I was able to accomplish that goal by shopping at OshKosh B’Gosh! They are literally your one-stop shop and carry sizes from 3m-14! I was able to grab the girls matching pieces, accessories, shoes, and a few toys! I love that they offer durable, comfortable, and stylish clothing without breaking the bank! With Spring finally upon us that means no more winter coats! I am all about bright colors, anything with pom poms or tassels on it! I also love when my girls can match! I got them plenty of items where they can match each other! 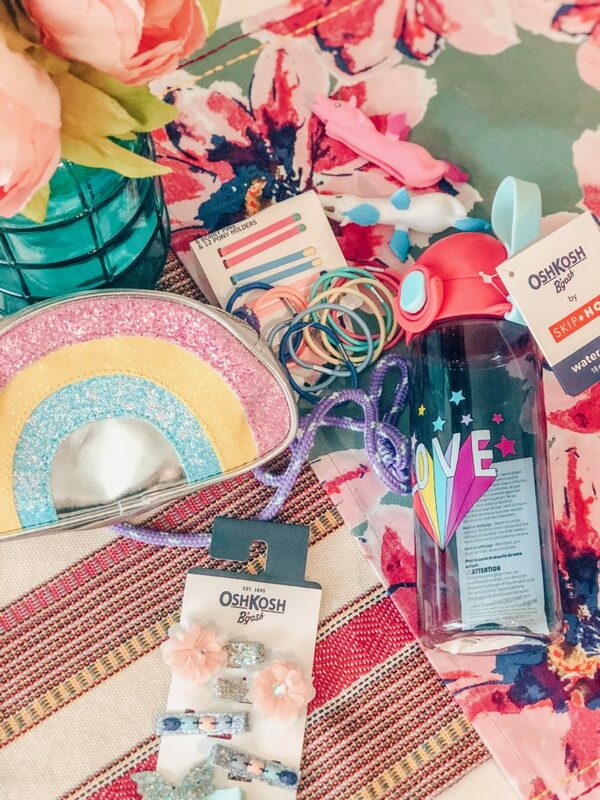 Ainsley is all about the accessories right and I was able to snag this adorable rainbow purse and cute hair clips! 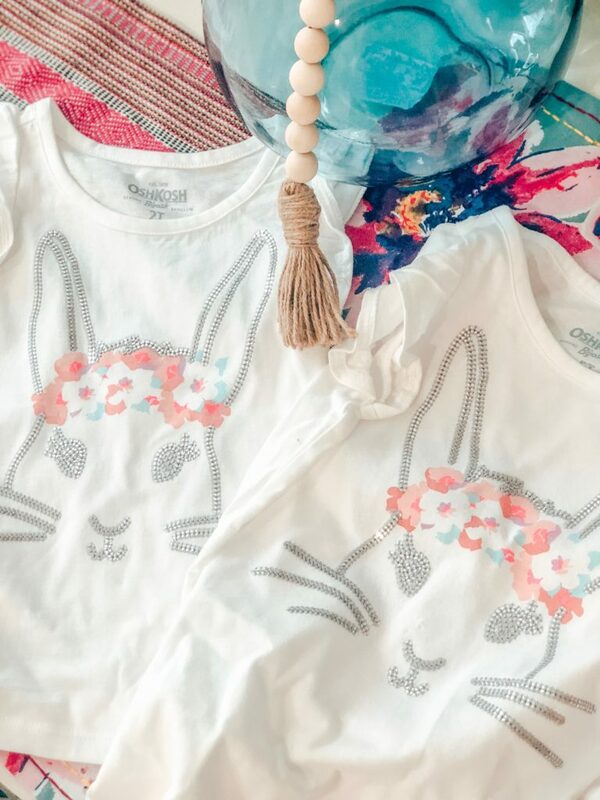 They both got the same Easter bunny top and it is so adorable! 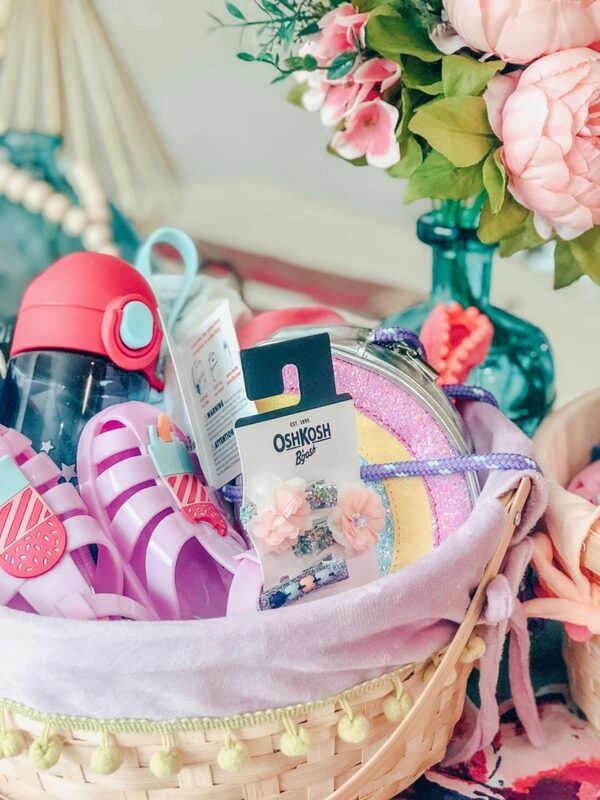 They are the perfect shop for all of your Easter needs, especially if you’re not wanting to give them candy!